"It was too much for me and I could not do another year. It’s not because of the effort it takes, it's mostly because of what I leave at home in Andorra." 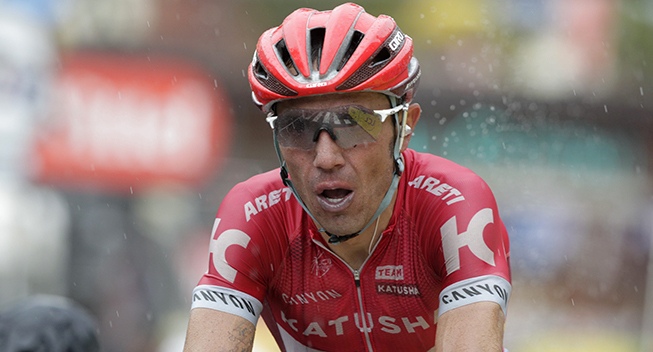 After a long period of indecision, Joaquim Rodriguez finally announced his retirement a few days ago. The end of his career was confusing but after 17 years as a professional rider, the Spaniard is now convinced that he has made the right decision. After some rest, he gave explanations to the media. Looking at the different dates of his calendar, the Spaniard understood that he no longer had the will to continue. "It was too much for me and I could not do another year. It’s not because of the effort it takes, it's mostly because of what I leave at home in Andorra," added Rodriguez who had promised his son not to go back and leave him for a long time. Rodriguez confesses that he has replaced the training and diet by a little too much time on the sofa. "It bothers me to watch the races on television because I need competition. The problem is that to be good, you have to work more, except that I had a time of total relaxation. In this sport, you cannot skip a single step." The retirement is now certain for the member of the Barhain-Merida team who still has some regrets at the end of his beautiful career. "I missed the victory in the Grand Tours, but it does not change what I have done,” he said. His biggest disappointment will remain the Worlds in Florence in 2013 when he was beaten on the line by Rui Costa after he thought that he had won a race a few kilometers earlier. At 37, the Spaniard has decided to move on and will begin a new chapter of his life.